In addition to the economic impact which it has on the city and the province, the Durban ICC remains committed to giving back to its community through its Student and Graduate Programmes and via special projects throughout the year. We believe in, not only supporting these projects financially, but also in providing opportunities for our staff members to give of their time and talents in a personal and meaningful way. 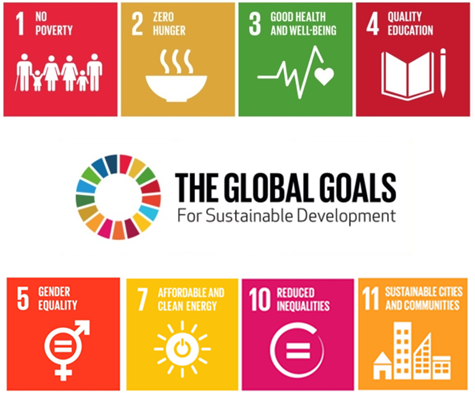 The Company’s CSI focus is aligned to the UN Global Goals for Sustainable Development. These goals were adopted globally as part of the 2030 Agenda for Sustainable Development and are the successor to the Millennium Development Goals Agenda which concluded in 2015. Governments, businesses and civil society have started to mobilize efforts to achieve the Sustainable Development Agenda by 2030. Universal, inclusive and indivisible, the Agenda calls for action by all countries to improve the lives of people everywhere. 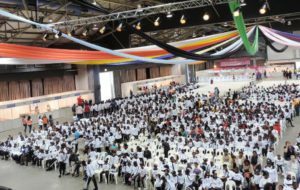 The eighth annual Children’s VIP D ay was hosted at the Durban Exhibition Centre in August 2016, organised by International Bank Vaults (IBV) in association with the Durban ICC. The special day invited over 3,000 less privileged children from Durban and surrounds to be treated to a day of interactive fun, treats, games and pampering in the company of sports stars and entertainment celebrities. On the day, roles were reversed as a number of Durban’s top businessmen and women traded in their executive desk jobs for a day of giving back to less fortunate children from a variety of homes and children’s organisations. The concept of the Children’s VIP Day is that no cash changes hands; businesses get involved by sponsoring time or products for the children. Partners get involved and support the initiative with items to giveaway on the day in the form of tog bags, clothing, calculators, stationery, books and toiletries. Others volunteer their talents in the form of entertainment or their time by playing games or doing activities with the children. The Durban ICC sponsored the venue and furniture for the event. 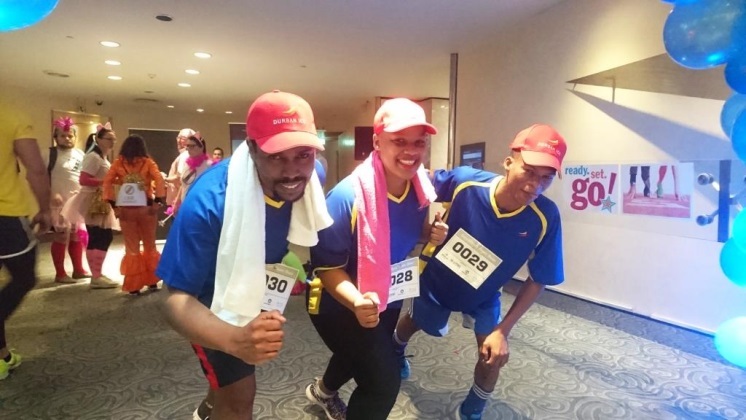 On Friday 14th Octob er 2016, the first ever #Care2Climb Tower Race was hosted at the Hilton Durban. The initiative was organised to raise funds for the Shayamoya Crèche in local disadvantaged community. 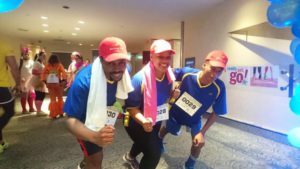 The Company participated by donating R2000 to the project and participated in the team-climb to the top of the 16th Floor of the hotel. 33 Corporate teams competed for the best times, including the team from the ECR Breakfast Stack. 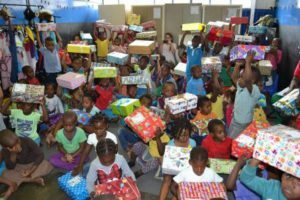 The Santa Shoebox Project is an initiative that collects and distributes gifts to over 100,000 underprivileged children in orphanages, children’s homes and care centres across South Africa and Namibia each year. Members of the public pledge to prepare a shoebox, which contains items such as a toothbrush, toothpaste, soap, washcloth, educational supplies, sweets, a toy and an outfit of clothing. 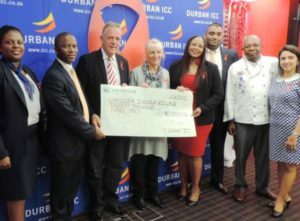 In preparation for the year-end festivities, the Durban ICC threw its weight behind the project once again this year. 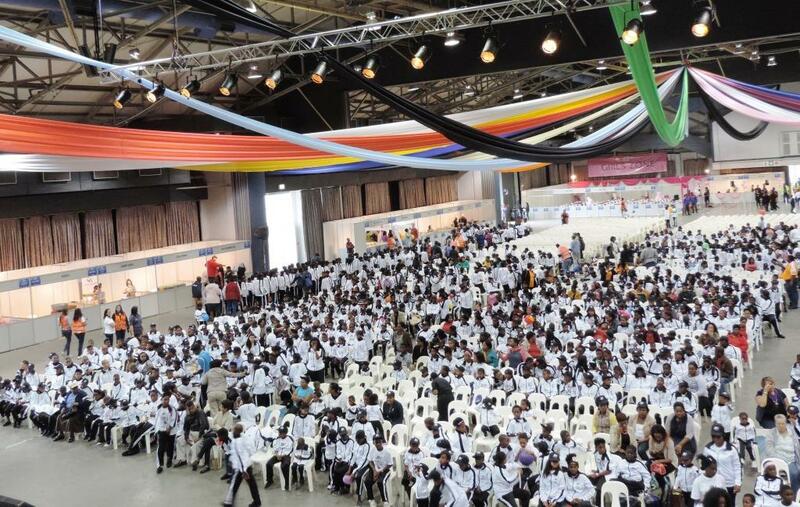 Members of the Company supported the initiative by sponsoring the venue at the Durban Exhibition Centre as the central collection point for the Durban Central boxes. 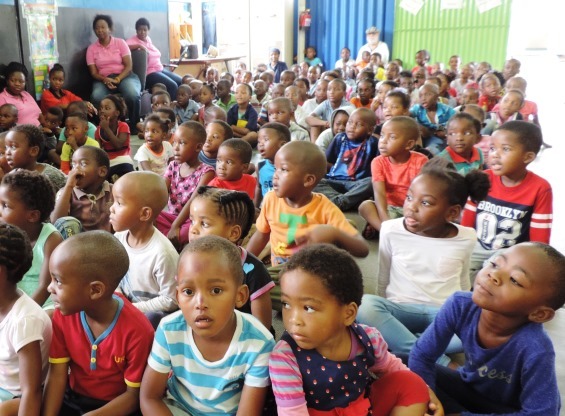 Makabongwe Methodist Pre-School is a non-profit organisation providing holistic early childhood education to the children of the vendors from the various Warwick Triangle markets. On the 29th November 2016, the Durban ICC staff, Executive Management and Management from Shosholoza Air-Conditioning took time out from their schedules to visit the school and deliver a number wall-mounted fans (sponsored by Shosholoza) to help cool the classrooms. The Durban ICC organised a party to celebrate the occasion, complete with hotdogs, cupcakes and goodie bags for the staff and little ones. The Company chose to commemorate World AIDS Day on the 1st December in partnership with the Lungisisa Indlela Village (LIV Village). To commemorate the day, a breakfast was hosted at the Centre for 200 people including the founders of the LIV Village, the Village’s House Mothers, and members of the Durban ICC staff team. The program also included the presentation of a short documentary of the work that the LIV organisation is doing through its various business enterprises to meet the needs of those at the Village left orphaned and vulnerable by the AIDS epidemic. The organisation has also established a Chef School in partnership with International Hotel School. Aligned to Global Goal 4, (Quality Education) the Company made a donation of R30,000 to sponsor the tuition fees of one of the chef students for the 2017 year. The Durban ICC is also investigating the opportunity of accommodating a number of these Chef Students for their co-operative work experience as part of its ongoing Student Programme this year. This was a joint CSI initiative between the KwaZulu-Natal Philharmonic Orchestra, EThekwini Municipality and the Durban ICC, who teamed up to host a complimentary lunch-hour concert on Thursday, 2nd February 2017. The project was an opportunity for almost 1000 members of local senior citizens’ homes to attend the complimentary concert performed by the highly acclaimed orchestra. The members of the orchestra donated their time and the Company sponsored for the venue and technical equipment for the concert. The eThekwini Municipality also added their support to project by providing transport for residents from four of the senior citizens’ homes to attend the concert. Senior citizens from Chesterville, Lamontville, Umlazi and Inanda were able to attend the event as a result of this kind support. 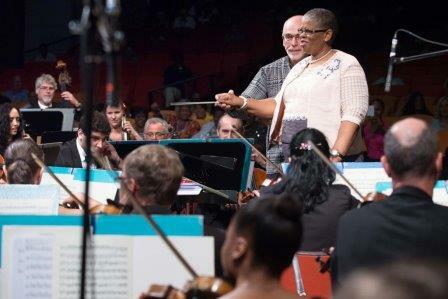 Her worship, the Mayor, Cllr Zandile Gumede also gave a short address at the event and was even kind enough to join the Orchestra for the final number where she conducted alongside Naum Rousine.